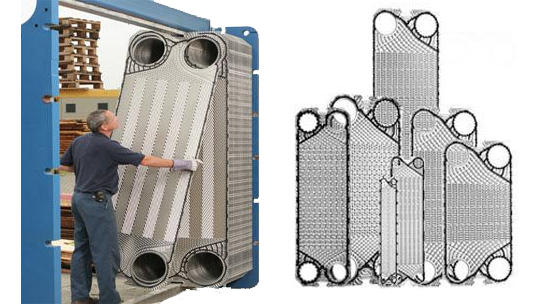 Whatever brands of plate heat exchangers are installed in your facility, OUR Technical specialists have the experience and know-how to refurbish all brands of plate heat exchangers in our shops or in your facility. 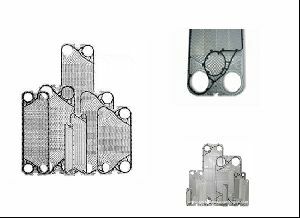 PHE Servicing & Spare Parts We are specialist in MULTI BRANDS Plate Heat exchangers, (wide gap, Normal gap & Brazed types etc.) 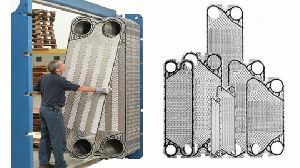 along with stockiest of various Plate heat exchangers spares. We can provide you with OEM parts to meet your needs along with Gaskets. Plates can be, 316 stainless steel or other metals like titanium, various grades of HASTELLOY or SMO etc. We provide PHE service and high quality spare parts of any make PHEs. We are a stockiest of multi brands PHEs & it’s spares. Color Black, White, Silver Etc. PHE Spare Plates and Gaskets NBR, EPDM, Viton etc.